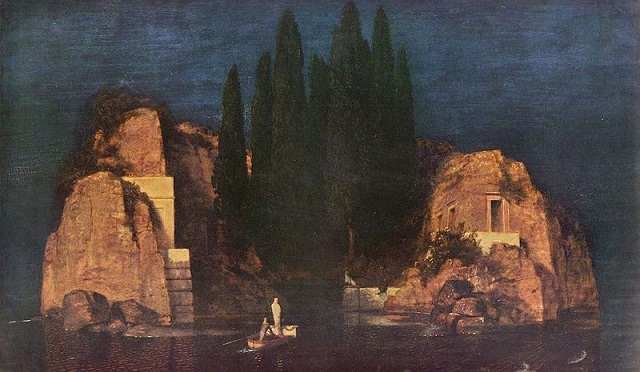 Isle of the Dead (above) is the best-known painting of Swiss Symbolist artist Arnold Böcklin (1827–1901). Prints of this work were very popular in central Europe in the early 20th century—Vladimir Nabokov observed in his novel Despair that they could be “found in every Berlin home”. Several versions were made – the one shown above is the original (Basel) version, painted in May 1880 – Oil on canvas; 111 x 155 cm.